Two pieces of Catalina make a perfect semi-circle. 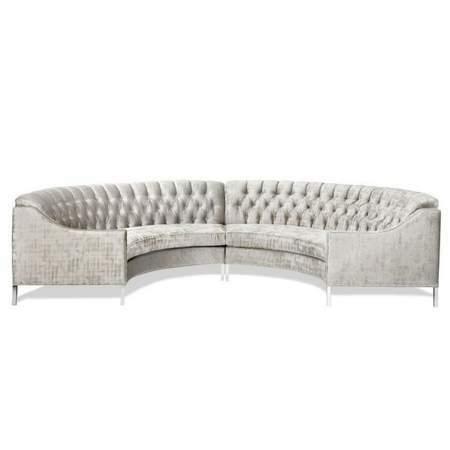 They are deep button tufted in back with a gray-silver velvet-like fabric. Item must be rented as a pair - the inside nail head trim is not finished and there is a visible hook that joins them together.